A maintenance check of your home can detect unseen sources of leaks. You can do something simple like turning off all known water sources and then watching your water meter for usage. Or you can invite our qualified plumbers from NC Plumbing Services to come and investigate your home’s current water use. Water-sipping dishwashers and flow-restricting aerators can help give you the water you need to get the job done, while being water-conscious. Look at low flow toilets and restrictive, water-saving shower heads as your first choices to save water in the bathroom. Also, make sure you call us when your toilet runs excessively after being flushed, indicating the tank parts have worn and require replacement. You can use water-restrictors in your utility sink/ tub in the laundry room, and upgrade your washing machine to one that uses less water per load of laundry. Water Heaters: Have us install a Flood Stop system on your tanked water heater. Should a leak occur, the water will be turned off and an alarm will sound, saving you from potential water damage and water waste. If you enjoy outdoor living and plant life around your home, a rain barrel system can help you capture natural rainwater and reduce the need for watering from your municipal water supply when it’s time to give the yard a drink. 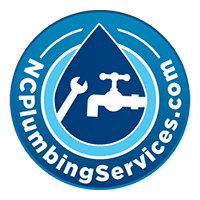 There are many personal steps you can take to reduce water usage, but NC Plumbing Services’ plumbers can walk you through the steps above to decide which repairs or upgrades can help you save water and money over the long run.